The County of San Diego is responsible for protecting population health. If more San Diegans prosper financially, fewer will need the support of the County for health and social services and our economy will thrive. This is good for San Diegans, good for our County’s fiscal health, and good for our regional economic competitiveness. Moving to a more inclusive economy requires us to better understand how our historic land use and financial policies created and grew our region’s poverty in certain communities. This is not a conversation about blame, it is about progress. No one reading this was alive for these policies, but many of us – of all backgrounds – have benefited. Moving forward requires a brief look back. This color-coded map shows areas in which our government would not insure loans based on proportion of minorities and immigrants. The black outline is part of County District 4. 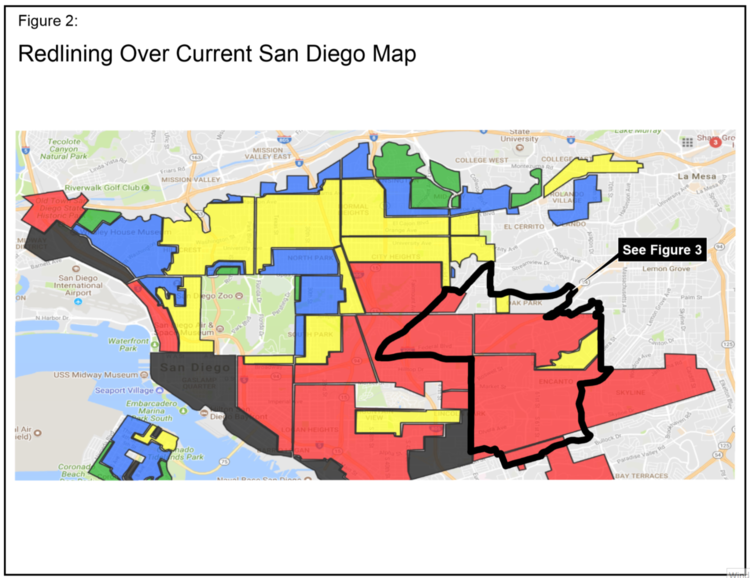 This is a current map of San Diego with the redlined areas overlaid to show which parts of our community were compromised by not being able to secure low-interest loans to build wealth. 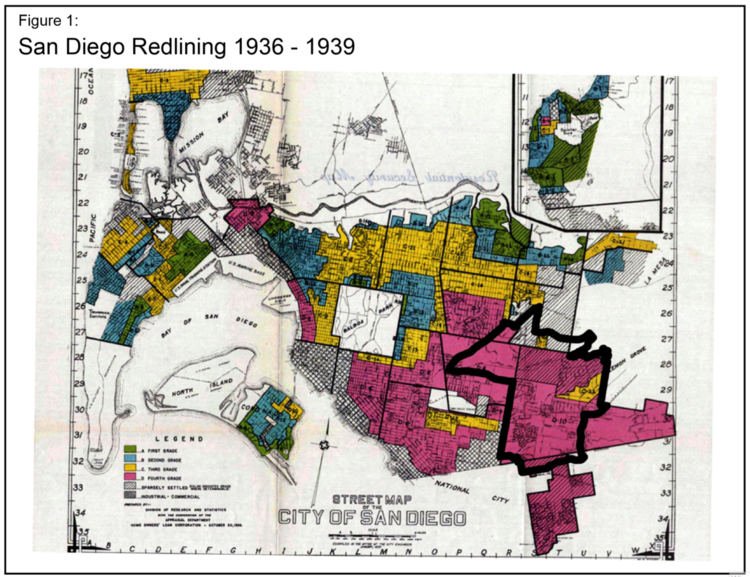 These are current impacts of redlining on communities within San Diego County’s 4th District. 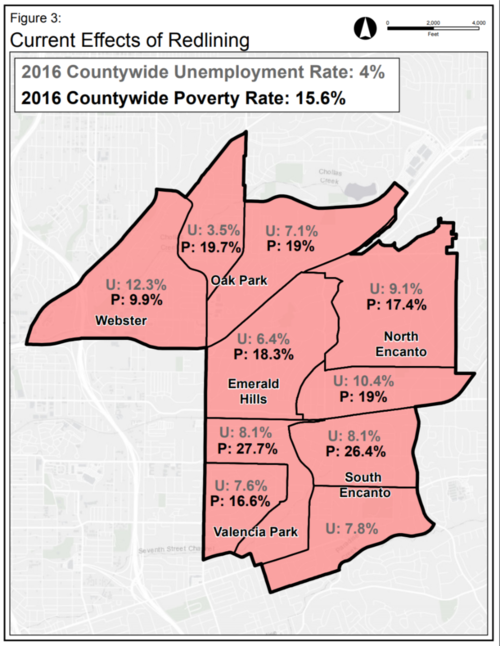 This reveals poverty and unemployment rates of more than double the regional average. What’s Next for San Diego County? San Diego’s path forward involves greater investment in youth entrepreneurship and early education, rethinking portions of our County’s procurement process, supporting high-growth, high-wage careers, and using the County’s regional leadership to better support existing small business resources. We do not have to do this alone, but we must take a more active role in helping our region prosper. Supervisor Candidate Omar Passons discusses the role of housing policy in stunting wealth. In addition to five key strategies that will strengthen San Diego’s regional economy in the near term, we must have leadership now to tackle three critical long-term issues: water, business/labor relations, and goods movement. 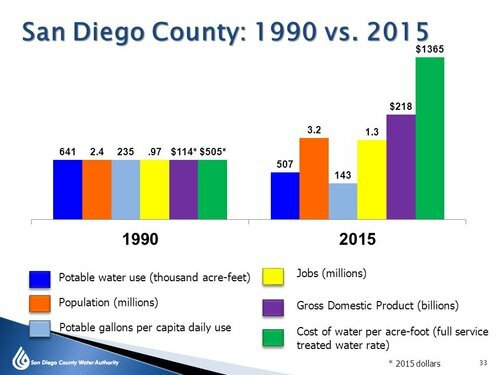 San Diego must find more ways to conserve, to increase supply, and to creatively manage water for long-term sustainability. 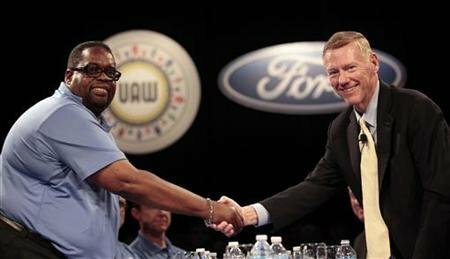 We must continue to encourage business owners to take risks and grow while acknowledging that unions are a critical element of a properly functioning economy. 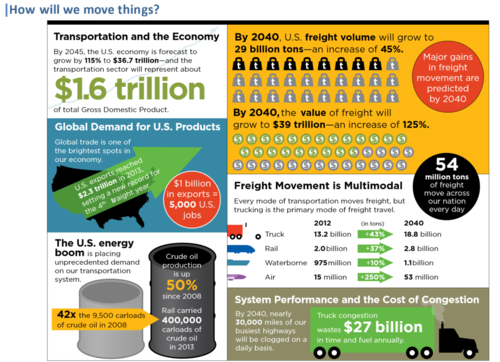 San Diego’s freight challenges at our international borders and on our roadways create significant challenges for our economy and our environment. Progress requires embracing innovation such as ITS, smart border technology, and alternatives to traditional goods movement.